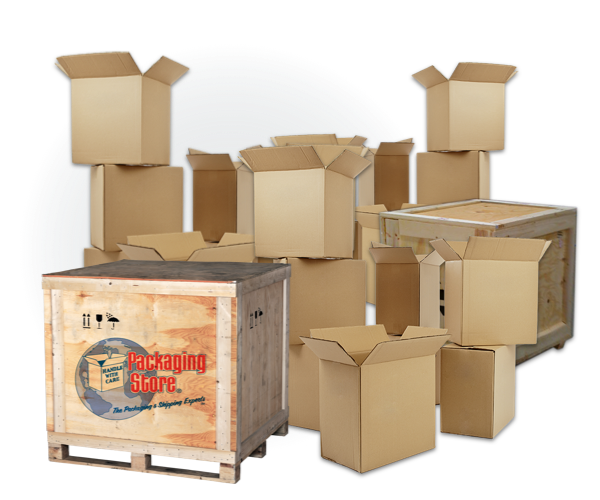 The Packaging Store offers packing and shipping solutions to meet every need. Over the last 30 years, we’ve perfected everything from packing and palletizing to shipping and tracking. We make shipping look easy. Instead of researching and comparing every freight and shipping service available, come to the Packaging Store and take the guesswork out of choosing a shipping company. We’re the industry leader when it comes to packing and shipping hard-to-handle or extra large items or precious furniture and antiques, and our network of transportation systems is unbeatable. We're the experts in providing crating and shipping solutions locally and worldwide. We work with you to choose custom shipping and tracking for delivering anything you might need handled—whether it's business shipping or family small shipments, moving supplies—or even Motorcycle Shipping! At the Packaging Store, we work with all major shipping companies—UPS, FedEx, DHL, Yellow Freight, and more—to ensure that your delivery arrives safe, sound and on time. Air freight service, ground shipping and ocean freight. We do it all. If you choose our professionals for your packing needs, we'll guarantee damage-free arrival no matter what shipping companies you use. Whether you need domestic shipping or international shipping, the Packaging Store takes the guesswork out of even the most complex mailing and freight needs. Our tried-and-true selection process developed and perfected over three decades in the business gives us the ability to create custom solutions for every need. At the Packaging Store, we pride ourselves in helping you save time and money while delivering the most professional service available.